Philo TV Archives · Stop the Cap! A group of cable networks are teaming up to offer the first over-the-top online streaming cable TV package for sports haters. Philo TV, expected to soft launch within a few weeks, is a sports-free television package of popular cable networks expected to sell for under $20/month. Instead of ESPN and Fox Sports, Philo TV will concentrate on dramas, documentaries, kids shows, reality television, and original productions aired on cable networks owned by the venture’s partners — Discovery Communications, Viacom, AMC Networks, A+E Networks and Scripps Networks Interactive. That guarantees networks like Food TV, HGTV, Discovery, AMC, Comedy Central, A&E, Nickelodeon, and other popular general interest cable networks will be on the lineup. The partners elected to work with Philo TV, an existing venture supplying skinny bundles of cable programming on college campuses around the country. Based on Philo’s college TV lineups, it is not a stretch to assume the new streaming service will also include networks like The Weather Channel, CNN, FOX News, tru-TV, Animal Planet, National Geographic, MSNBC, History Channel, BBC America, Game Show Network, Hallmark, Spike TV, USA, Cartoon Network, Lifetime, Syfy, and perhaps even the Disney Channel. The service is not expected to include over-the-air stations, but the exclusion of sports means plenty of savings for sports-loathing viewers. Sports programming fees are by far the highest of any network costs for cable and satellite providers. Eliminating costly networks like ESPN saves the average cable company at least $6 a month for that network alone. The “Philo” venture is named after Philo Farnsworth, the American inventor of an all-electronic television system still partly in use today, which quickly dispensed with the earlier electro-mechanical television systems that preceded it. Philo isn’t necessarily going to be limited to online streaming. The company is exploring cutting deals with existing phone and cable companies to distribute the package as a competing alternative to today’s bloated cable television packages. 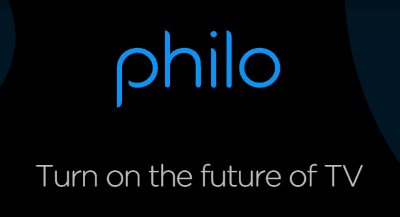 Those interested in being notified about the venture’s imminent launch can register their email address or mobile number on Philo’s website.